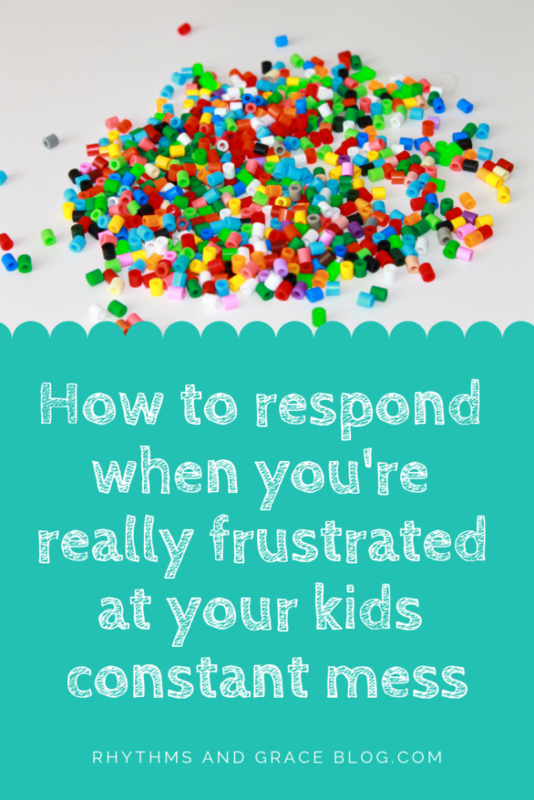 Have you ever said something to your kids impulsively? You know… where the words are coming out of your mouth before thinking and it’s too late to stop them? 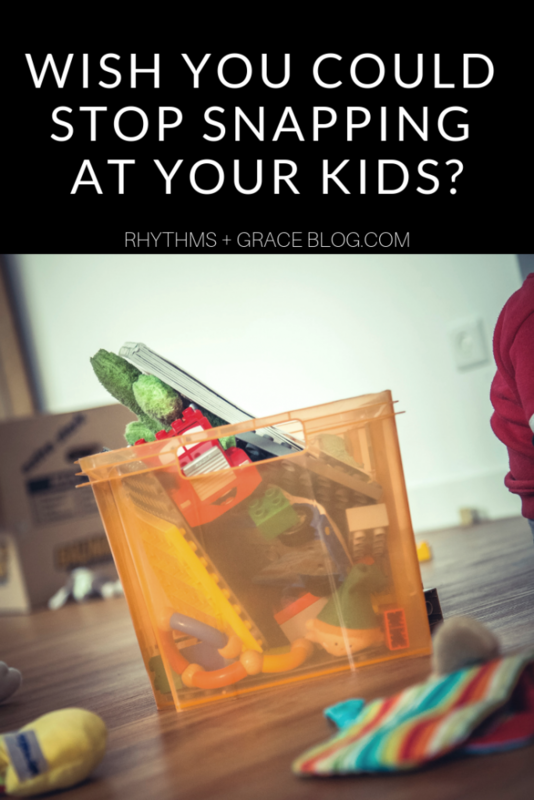 I did this recently, and learned 3 practical parenting lessons from it that I wanted to share with you. The other day, my 4 year old and 2 year old were playing with beads relatively unsupervised. Clearly, that was a horrible idea. But, our 9 month old was having a teething-all-day-crying-barely-any-sleeping-wanting-mom kind of day, and they wanted to make necklaces. The 2 year old inevitably dumped the beads out. (You knew that coming, right?) They played with them for a while and eventually, the beads were everywhere. When it was time to get ready to leave, I asked them to clean them up. 10 minutes later, not much progress had been made. I was irritated, the baby was crying, they were arguing. Addie (4) was upset because Emma (2) wasn’t really helping and she was the one who dumped them out in the first place. Well that sent the first born 4 year old into frantic cleanup, borderline meltdown mode: “Emma, come on. Help me faster. Mommy please don’t throw my beads away!! I love them all. Emma’s not helping,” and on it went. In like 3 seconds, almost everyone was crying. As the situation unfolded, I wanted to back-peddle, address it differently. But the threat was out there. I’d reacted instead of responded. Frustrated, I’d spoken impulsively. Then, I felt like I had to follow through. Please tell me you’ve done this!? Ugh! 10-15 minutes later, my 4 year old had made valiant strides to clean it all up. 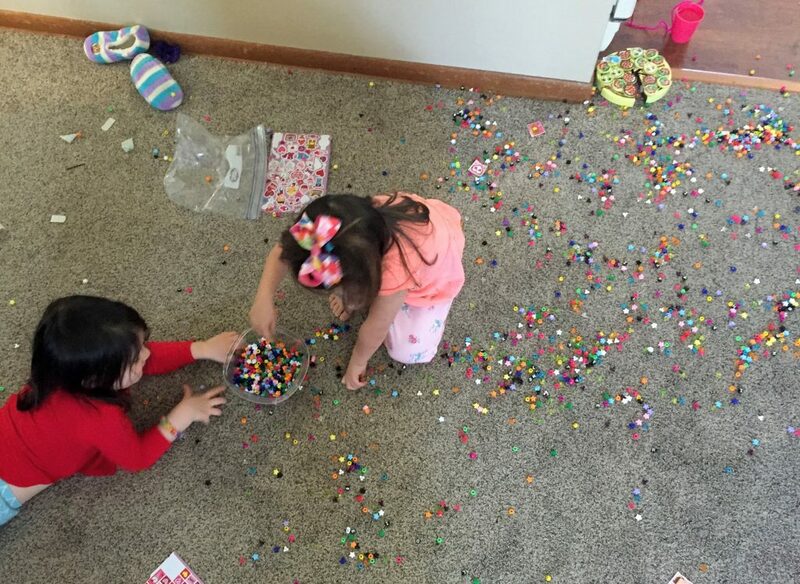 The container was 3/4 full, but there were still SO MANY BEADS on the floor. My 2 year old could have cared less, which makes sense… I mean, she’s 2. Plus, the beads were the 4 year old’s birthday present. As I type this out, I feel it would be appropriate for you to send me an award for meanest mom of the year. With a baby crying loudly, a 4 year old protesting profusely, and a 2 year old singing cheerfully, I explained quietly that I needed some space to think. I sent the girls to their rooms to play so I could process. That often goes off with a small amount of whining, but today, the request ushered in a full-blown-4-year-old-meltdown. So here we are: Floor covered in beads, baby crying, 4 year old tantruming in her room and the 2 year old singing, “I don’t like beads” in that sing-songy-taunty voice (think “nah-nah-nah-boo-boo”). And mom on the verge of tears because motherhood is hard sometimes. I asked the Lord for wisdom: now what? These moment-by-moment-in-the-thick-of-it “now what?” prayers are often the means by which God gives wisdom for every day life… often in the form of bringing to mind scripture, verses, or advice I’ve heard in the past. “The negative behaviors are symptomatic of their sin problem. Your day is full of opportunities to show your kids the state of their hearts, and their need for a savior. God’s law, not my household law, prevails. How often we expect the law to do what only grace can do. Put the almost-full tupperware of beads back where they belong. Have a calm conversation about the why behind her feelings (sin + greed). That having a lot of something often makes us want more and more and more. Apologize for my crabby/reactive attitude and explain I have sin in my heart too that causes me to be snappy/ grumpy/ impatient. Explain that I threw out the leftover beads, but that we still have plenty and next time, if they spill, they’ll be easier to clean up. Honestly, I think throwing out the extra beads was the right thing to do. They have a zillion beads to make jewelry with. Getting rid of half of them doesn’t make a difference. Beads aren’t an all-time-favorite toy. They’re inexpensive, replaceable, and hold no sentimental value. Practically, if they spill them again (which will inevitably happen), they’re easier to clean up. Having half the beads is actually a win. As is often true, less is more. BUT, the impulsive threat in an angry tone was reactive, rather than responsive. My attitude in the situation was quite similar to my 4 year old’s: selfish, tantrumy, borderline mean. consequence + instruction without anger. Clearly, I don’t do this perfectly. No one does, except our Heavenly Father. And it is from the fullness of Jesus Christ that we have all received grace upon grace to cover our imperfect parenting. For our 4 year old, we are planting more gospel seeds. For example, this is what happened next in the aforementioned Bead Disaster of 2017. Me (going into the 4 year old’s room when she’s calm): Are you calm enough to talk about what happened? Me: Remember your AWANA verse, Romans 3:23, All have sinned? 4 yo: I forgive you mom. 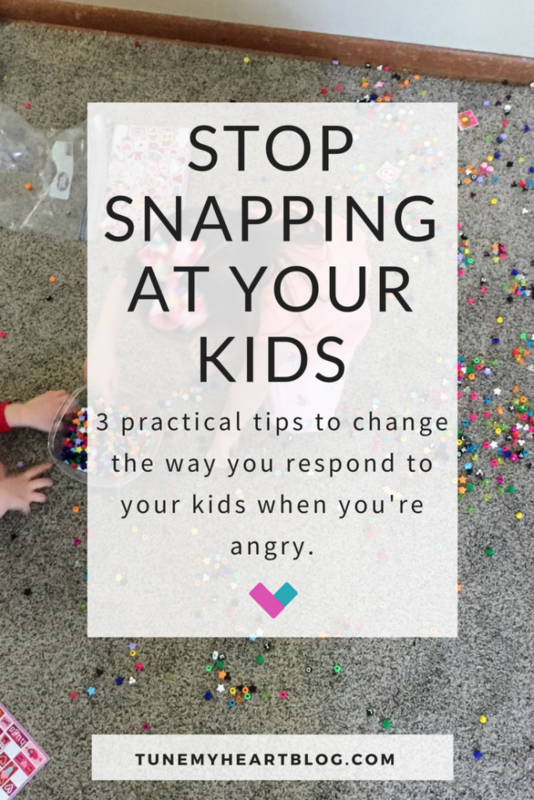 Me: Even though it was wrong for me to lose my temper, throwing out the beads is the right thing to do. Can you be calm while I explain why or do you need more time to calm down by yourself? 4yo: I like my beads. I don’t want them to be in the trash. Me: I understand. But the problem is, we really have too many beads. After getting rid of some, now we still have plenty of beads to make lots and lots of necklaces and bracelets. And now, if we spill them, they’ll be easier to clean up because we won’t have so many. I wish I could show you a video of this moment. The restoring of the relationship is so sweet. She forgives so freely. Honestly, that’s about how it went! Once she was calm, she agreed that we had more than we needed, which brings me to my next point. Later on the same day, the girls had a second bout of moaning and groaning and complaining about cleaning up toys after quiet time in their rooms. Granted, the rooms were disastrous. Toys everywhere. I had to consciously think about responding instead of reacting. 4 yo: What’s a 3 toy rule? Me: You’ll each get to pick out 3 toys from the toy shelf for nap time. 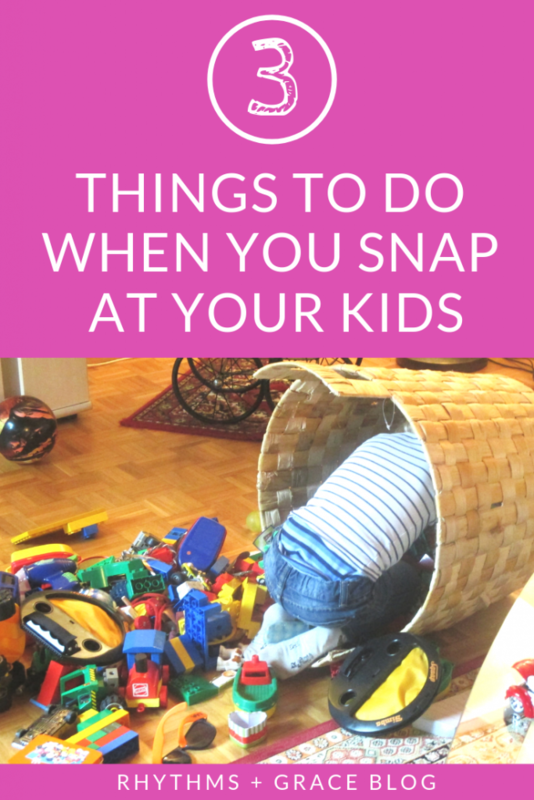 When nap time is done, we’ll all clean up and bring the toys back downstairs. Then, you can pick 3 new toys the next day. I kid you not, the next day, they were SO excited to each take turn’s picking toys off the shelf for naps. I didn’t hear a peep the entire quiet time. Neither came out of their room. Neither called out to me with ridiculous requests or delay tactics. 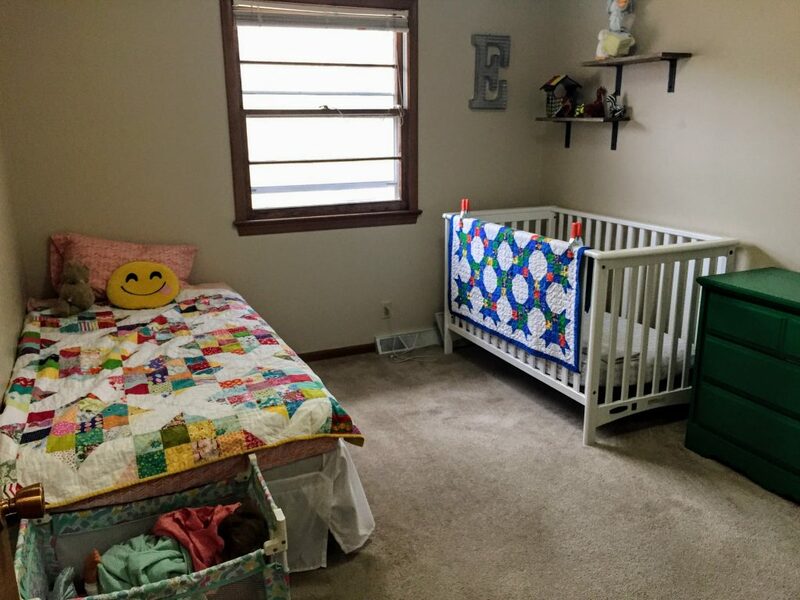 AND when nap time was done, it took about 2 minutes to clean each room. My 4 year old exclaimed: “WOW! That was speedy clean up mom.” And then she proceeded to jump on her bed. I couldn’t believe she ‘got it.’ I’d read a lot about how kids will be happier with less. We try not to have tons and tons of random crap that we don’t use around. But it was the most perfect real-life example of how the kids were truly happier with less toys. 2 weeks later, we’re still going strong with the 3 toys rule. It is a quiet time game changer. This day in and day out stuff is monotonous at times. All the reminders, time-outs, warnings, discipline. The constant second-guessing. Is this how I should be handling that situation? Seek the Lord’s wisdom in the little things, friends. Read that parenting book I mentioned – it’s chock full of Biblical advice for training up our kids. Don’t forget to apologize and ask your little ones for their forgiveness. And, for the love, if you have half as many beads as we do, throw some of them out. You can thank me later. p.s. If this post helped or encouraged you in any way, would you share it on facebook and/or pinterest!? I’d love to reach more mommas with your help. XO! p.p.s. Have you taken my free 4 day email course about parenting!? 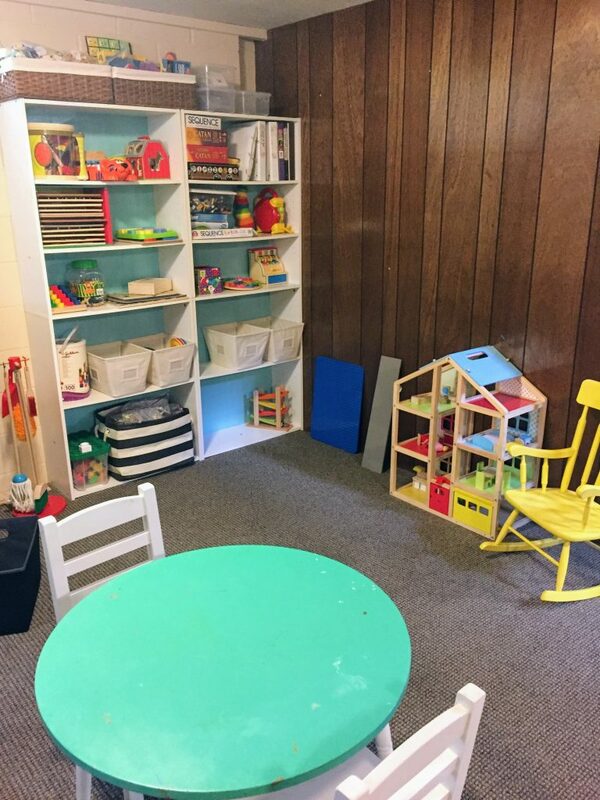 It’s all about how to take the idea of a “parent led, grace filled” home and make it practical! START THE PARENT LED HOME COURSE TODAY!